Shenzhen Tuowei Model Technologies Co., Ltd.
We have 16 years rapid prototyping experience and has passed ISO9001, 15 CNC leading machines with strong production capability Shenzhen Tuowei Model Technologies Co., Ltd. is one of the leading professional rapid CNC prototyping manufacturers in China since the establishment in 2002. Ever since, we have adhered to the principle of "Integrity, Foresight, Solution and Efficiency" and kept balanced development on scale and profitability. In the past decades, we have enjoyed sustained growth in both import & export business. Thanks to our good reputation, excellent service and reliable quality, our clients are throughout the world. In recognition of our profitable and social contribution, Shenzhen Credit Rating Corporation has granted us with the title of AAA credit rating manufacturer for many years. We have also passed ISO9001 certification and kept updating regularly. 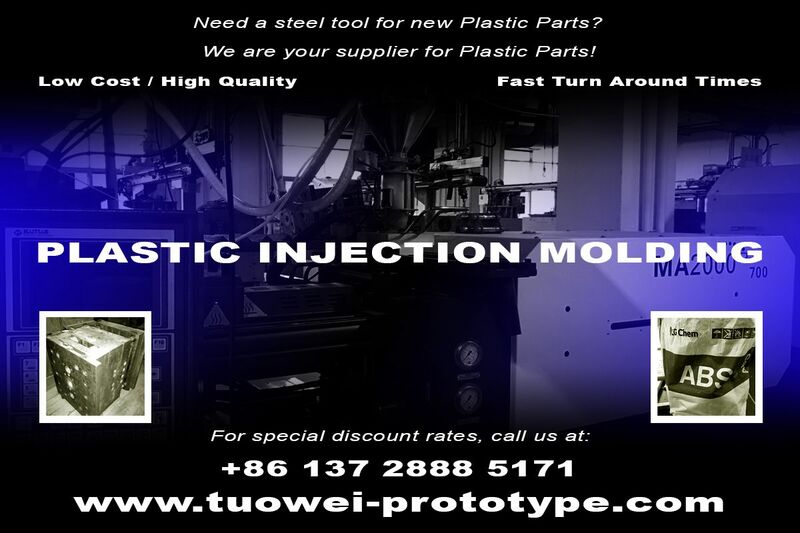 At TUOWEI we have over 15 industry leading CNC machines. These top quality machines work by processing 3D data. CNC can be used to produce machined parts and prototypes very quickly, at a high production rate and to a high degree of accuracy and CNC machines are able to work with a great many different materials including; plastics (ABS/PC/POM/PP/PVC/PMMA etc. ), metals (Stainless steel, Aluminum etc) wood and other specialist materials. Tuowei is your full-service partner for small and large products, with strong engineering support, superior customer service and state-of-the-art processing control techniques. Simply send us 3D files in .IGS/.X-T/.PRT/.STP/.STL format, waitting for your requiries at any time.